In this class you will learn how to set up your embroidery machine for quilting and create your own templates for positioning your embroidery designs. 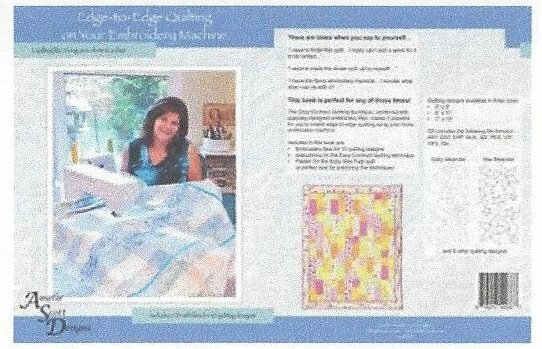 You will be able to quilt small or large projects by using the connect edge-to-edge method. The Edge to Edge Quilting book by Amelie Scott is required for this class. If you are interested in taking this class, you must come into the store to register and pre-order your book at least 2 weeks prior to class.